Christmas season is a great excuse for drinking – not that we needed any more encouragement – but it’s also the time when we actually get to drink something that’s a lot more festive, such as spiced mulled wine or rum-laced eggnog. 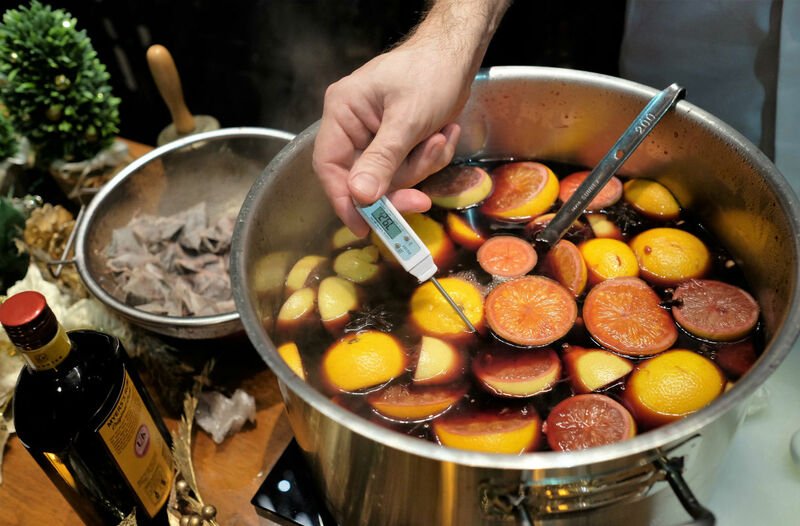 Glühwein – glow wine, also known as burning wine – is so-called because of the temperature the wine is brought up to. Because you didn’t want the wine to boil, traditionally a hot poker is removed from the fireplace and stuck into a pot full of wine to heat it up. Mulled wine is very popular in many German-speaking countries, and Glühwein is traditionally served at festive markets across Germany, Austria and Alsace in France during Christmas season. 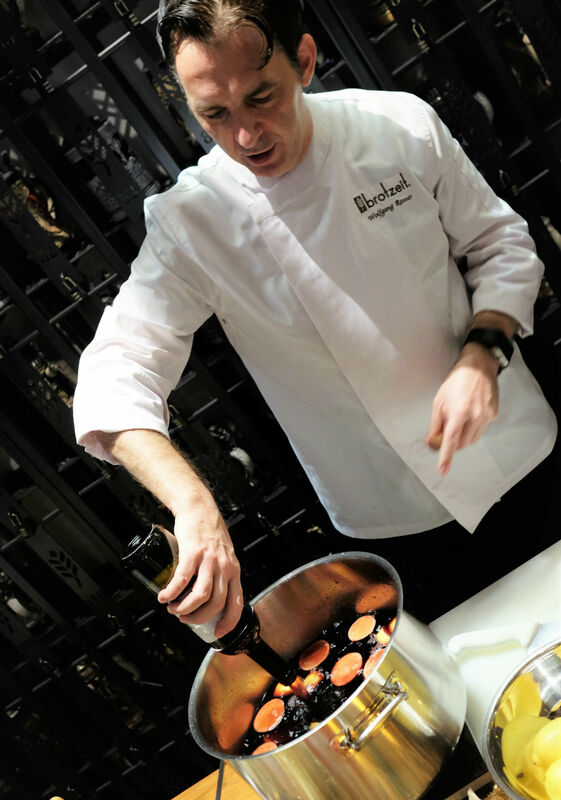 Brotzeit German Bier Bar & Restaurant has been serving the festive spiced brew every Christmas for many years now, so we grabbed Brozeit’s Group Executive Chef Wolfgang Ranner to share his mulled wine recipe so you can try it at home. “My recipe combines all my favourite things – red wine, Christmas spice and citrus fruit flavours. The mulled wine is a very special tradition in German Christmas markets and it’s an experience like no other,” Ranner shares. Slice up the fruits. Put all the sliced fruit, sugar/honey and spices into a big pot. Add red wine and heat for 10 minutes. Do not boil! Add tea bags and infuse for a further 15 minutes. Do not boil! Remove from fire. Strain and serve very hot. That’s the traditional recipe. You can also optionally add a quarter cup of brandy to give it a punchier flavour, or in Chef Ranner’s case, he likes to add a quarter cup of dark rum. We saw him use Myers Dark Rum, but you could easily substitute it – as we did – for a Mount Gay Eclipse for a mellower, more sophisticated touch.